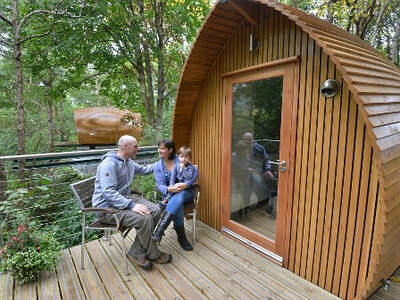 The Isle of Wight is often marketed as a 'family holiday' destination, but it's a nice place for grown-ups too with lots of interesting and romantic spots for single people or swooning couples. The key, of course is knowing where to avoid - you don't want to be surrounded by other people's teenagers, toddlers and children whilst you attempt to enjoy a romantic Isle of Wight getaway. If you're looking for somewhere to stay, take a look at our luxury hotels guide, which tend to target the adult market or our holiday lodges guide. 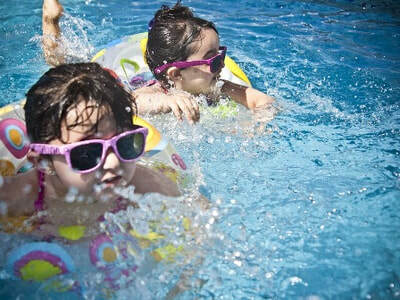 I would also think carefully about the time of year that you book your holiday if you want to avoid children - have a read of our guide to What time of year should I visit the Isle of Wight? Families with toddlers and junior school aged children generally flock to Sandown, Shanklin, Appley (Ryde) or Ventnor because they are easy to access whilst carrying 16 bags and they have plenty of facilities like toilets, cafes selling ice cream and amusement arcades which consume small change. However, if you want to avoid being hit on the head with a Frisbee whilst you try to achieve an English tan, then I would avoid these four, particularly during school holidays. I would also avoid Alum Bay, which is more of a busy attraction than a beach to spend the day on. During school holidays I’d also avoid any of the beaches which sit alongside holiday parks, like Thorness Bay or the stunningly-pretty Whitecliff Bay. 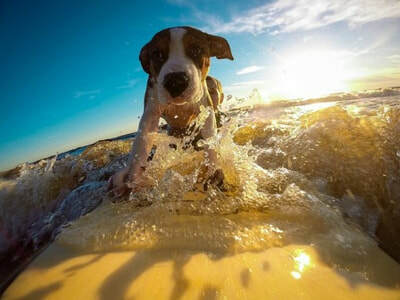 There are several alternative beaches which aren’t so family-friendly where you can carve out a little bit of peace and quiet, even on a busy day. My parents took us to ancient churches whilst on holiday but I think we were in the minority and we never stayed long enough for me to break anything. The Isle of Wight has some really interesting little chapels, churches and religious retreats many of which are older than the United States of America and are free to visit. St Boniface's 'Old Church' in Bonchurch is mentioned in The Domesday Book and was visited by King Charles I. All Saint's Church in Freshwater dates from the 11th century or earlier. St. Lawrence Old Church on Seven Sisters Road is tiny, with a door designed for hobbits. One of the smallest churches in Britain, according to a few websites. St Mildred's in Whippingham was Queen Victoria's church, so you can see her pew if you want. All Saint's in Godshill is the one featured on 92% of Isle of Wight Fudge boxes. St Peter and St Paul Mottistone is the one where Benedict Cumberbatch married Sophie Hunter in 2015. Carisbrooke Priory is a former nunnery which is now a Christian House of Prayer and Healing. They offer cream teas and the like and also have pretty gardens, a courtyard and a chapel. Quarr Abbey is a working Benedictine monastery which sits alongside a 12th century ruin. There's a coffee shop, tours and some hungry pigs which gobble like there's no tomorrow. Several of these are featured in our guide to historic days out on the Isle of Wight. 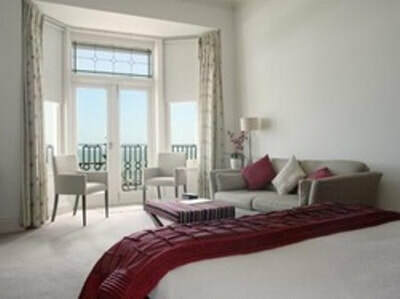 The majority of the Isle of Wight’s hotels, guest houses, caravan parks and bed and breakfasts are concentrated around the East Wight towns of Sandown, Shanklin and Ryde. The West Wight is much quieter and so was our preferred option for a ramble until children and pushchairs arrived, at which point we had to think more practically. 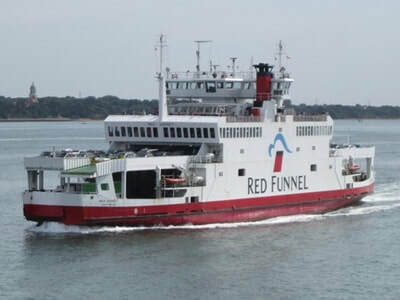 There are loads of free walking guides online, including ones from Red Funnel, Wightlink, Isle of Wight Tourism and there are organised walks by the Isle of Wight Ramblers. Or you can buy a book of course. If you want to see red squirrels, Parkhurst Forest is a good place to start. This video shows off some of the West Wight coastline very nicely. Just don't blame me if it's not quite so sunny when you visit. HoMe from Ph Imagery on Vimeo. Crowds of school parties and families flock to Alum Bay and the Needles with its famous multicoloured sands, chairlift and amusement arcades. It's a beautiful coastline and good entertainment for families but it wouldn't be my choice for a romantic, child-free day out. There's just too much risk that your sunset moment will be interrupted by a child dropping a toffee apple on your foot. (PO39 0EP) which is looked after by the National Trust. 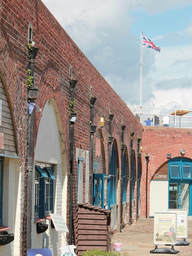 Alternatively, the Needles Old Battery covers a lot more of the history of the site away from the Pleasure Park. The Old Battery also gives you the chance to wander through a tunnel in the cliffs and then get a close-up view of the Needles. If you fancy seeing a lighthouse that is a little less busy, try St. Catherine's Lighthouse which offers tours. 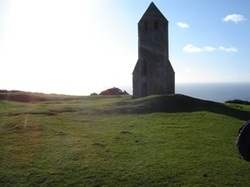 Or, for something even quieter, search out St. Catherine's Oratory (often called The Pepperpot) which is the leftovers of a 14th century lighthouse, which bizarrely isn't all that near the sea (which might explain why it's a former lighthouse). 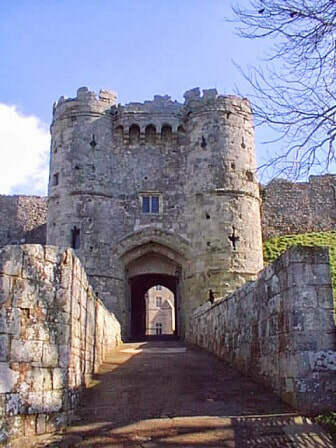 Carisbrooke Castle is one of the places they put on the front of the Isle of Wight tourism brochures. It's an impressive site which looms over the villages around and once kept a King prisoner. My favourite bit is the 'keep', from which you see a 360 degree view of a large chunk of the Island - including my mum's kitchen. Please give her a wave if you are visiting. There are also donkeys which pull up water from a well and a museum. It's pretty big, so allow half a day. If you don't fancy paying, you can still walk round the dry moat. It's run by English Heritage, so members get in free. If you plan to visit both it is probably worth considering English Heritage Membership. At the time of writing (2018), membership is £54 for an adult and up to 6 children. Standard entry to both for one adult is about £25. Yarmouth Castle is smaller, but it is a notable historic site and has nice sea views. It's also run by English Heritage. You will see children being taken around English Heritage's Osborne House by well-meaning parents who want their youngsters to understand history, but I'd consider it a grown-ups' attraction. My (wonderful) mother used to read interesting snippets in stately homes and then repeat them in a hushed tone right in my ear, presumably in the hope that I would suddenly snap out of my teenage strop and choose to read history at Cambridge. It didn't work. Osborne House is one of the busiest attractions on the Isle of Wight and is on a huge site with a Swiss Cottage and a beach where Queen Victoria used to paint pretty pictures and bob about in the Solent. There's a walled garden, terrace gardens and trees planted by Prince Albert. Another English Heritage option is Appuldurcombe House which is the leftovers of a grand old 18th century house. It is currently free (2018) but the inside of the house is a ruin. Nunwell House is a 16th century privately owned property, spread over five acres in Brading. The owners offer tours a couple of days a week during the summer. Farringford was the home of Tennyson. The house was restored over five years and opened for public tours in 2017. You have to book in advance and it isn't open every day, so don't just turn up unless you want to practice your frowny face. Mottistone Gardens - National Trust property. You can't go in Mottistone Manor (which is where Benedict Cumberbatch and Sophie Hunter had their wedding reception in 2015, in case you're interested) but the gardens are lovely. Ventnor Botanic Garden - famous garden which has featured on various TV programmes, as it is home to plants which usually only grow in the Mediterranean. Shanklin Chine - not really a garden, but a very pleasant walk through a gap in the cliffs which leads to a tearooms and the beach. 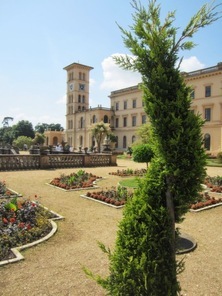 Osborne House - English heritage property with walled gardens and trees planted by Prince Albert. Appuldurcombe Gardens - free English Heritage site, gardens designed by Capability Brown. House is a ruin. If you only want to visit one, I'd choose Ventnor Botanics or Mottistone Gardens. If you don't want to spend any money, I'd choose Ventnor Park or Rylstone Gardens. Please don't travel to the Isle of Wight expecting to see British Museum or National Gallery scale exhibitions (thanks to people who throw their money away every week on the National Lottery). However, there are a handful of small scale art galleries, factories offering tours and museums. Dinosaur Isle is a Dinosaur Museum in Sandown. Again, there is a significant risk of running into a school party at this one. Don't say I didn't warn you. 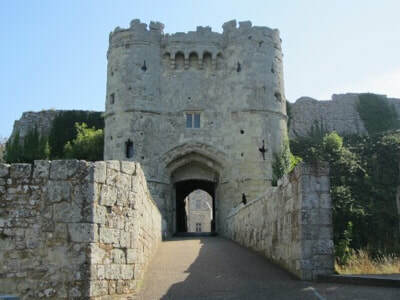 There's a modestly sized museum within Carisbrooke Castle, which English Heritage members can see for free. Newport's Quay Arts centre routinely offer free exhibitions for thoughtful staring. The Museum of Island History in Newport's Guildhall re-opened in 2016 after a short funding related closure. The Isle of Wight Bus and Coach Museum in Ryde is free and offers the chance to climb onboard a selection of old vehicles. Read our blog from the bus museum. Cowes hosts the Classic Boat Museum and the Classic Boat Museum Gallery (PO32 6EZ). Ideal if you like either boats, or pictures of boats, or both (actually I'd be surprised if there's anyone out there that loves pictures of boats, but doesn't like real boats). Bembridge Lifeboat Station is free and has volunteers on hand to tell you about the impressive vessel, which lives at the end of a long walkway. 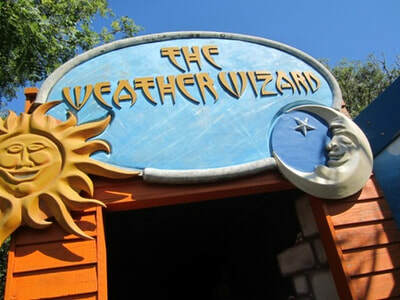 They also do practice launches which are a local spectacle and are usually announced on their Facebook page. The RNLI Inshore Lifeboat Centre is a factory in East Cowes where about half of the RNLI's fleet are manufactured and repaired. You can sign up for a free tour which takes about 90 minutes. Thanks to Roger for letting us know about this one. The Sir Max Aitken Museum (PO31 7AJ) is free and is in Cowes High Street. He was an MP, a fighter pilot, a newspaper magnate and the London Boat Show founder. The museum is a chance to rummage through his odd collection of stuff. Dimbola Lodge (PO40 9QE) is a photographic museum with tearooms. The Lilliput Antique Doll and Toy Museum is...well, I think you can work that out for yourself. Those of us who still snigger at Viz Magazine or Private Eye will enjoy the National Poo Museum. It was briefly part of Isle of Wight Zoo but it's now a plop-up exhibition (I didn't make that up, honest). Brighstone has a quaint little museum about village life. Isle of Wight Pearl is a popular stopping point for the many coach trips which tour the Isle of Wight. It offers a talk about pearls, a chocolate shop and a cafe. It is on the Military Road, with a panoramic outlook over the Isle of Wight's west coast. If you're looking for coach-party favourite Waltzing Waters, I'm afraid it closed in 2017 due to a lease running out. At the time of writing it was looking for a new home, probably on the mainland. You might assume the Isle of Wight’s food tourism industry revolves around seafood. Well buster, you’d be wrong. Whilst there are plenty of places to pick up crabs (fnarr fnarr) or a local lobster, there is also the Garlic Farm which offers tractor-pulled tours and tasting (along with a Garlic Festival which attracts 25,000 people). ​There's also a House of Chilli and lots of farm shops selling chutneys with fancy labels which make ideal presents for your grandma (Briddlesford Lodge, Brownriggs, Farmer Jacks and others). 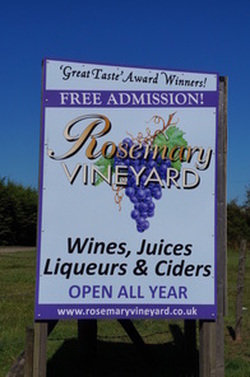 There are also a couple of vineyards (Rosemary Vineyard and Adgestone Vineyard) , which I’m assured can produce a bottle of English bottle of wine which isn’t disgusting. Adgestone Vineyard was on an episode of Countryfile in 2016. I remember my father attempting to make gooseberry wine in the bath. I can’t remember quite how that masterplan panned out but he certainly didn’t make a career of it. If you happen to have a National Trust Membership you might want to explore their five main properties on the Isle of Wight, which include Bembridge Windmill and Newtown Old Hall. Newtown Old Hall has a bizarre history as the town hall where there wasn't a town, since it was a rotten borough with two MPs. 400 years later it is such a relief to see Westminster is now completely free of corruption, dishonesty and structures designed to benefit a few chosen people. 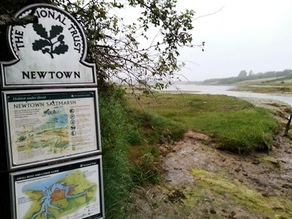 ​According to the National Trust, Newtown National Nature Reserve offers 'perhaps the best opportunity for bird watching on the Isle of Wight' with three hides to choose from. We last visited the Creek on a misty evening and felt like we were taking part in a Scandinavian crime drama, although it's a little less creepy on a sunny day. It takes a certain level of maturity before you actually begin to admire views. My mother never persuaded me to look up whilst being driven through The Alps. I'm stereotyping here, but I'm yet to meet a man over 60 who doesn't enjoy the smell of a steam train. I do wonder if I'll get nostalgic about the smell of a Vauxhall Astra once we've all switched to electric cars, but I doubt it. Anyway, there's a very well run steam train which you can catch from Havenstreet. It doesn't have seaviews or anything like that, but it's a nice day out with a museum section. 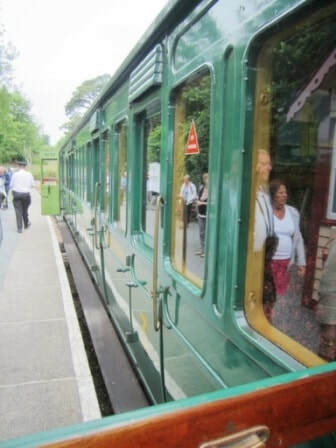 Alternatively, you can use the Isle of Wight's only 'modern' trainline, which connects the east side of the Island. It's a bit of a curiosity, as it's currently a pre-war London Underground train which rattles along the Pier at Ryde (as of 2018). The term 'golf' covers quite a range of activities, if you'll excuse the pun. At one end of the scale is putting a red golf ball through a windmill at crazy golf (see our guide to family days out for more on that), right through to the Mercedes-driving businessmen who combine a round of golf with a gin and tonic and a discussion about the failings of the current government. Red Funnel has produced a decent golf guide. It's not my area of expertise, but I would suggest that Brown's Golf Course is more for families, and that Freshwater Bay Golf Club has pretty spectacular scenery. There's an undercover driving range at Westridge Golf Centre near Ryde (£3 for 25 balls at the time of writing). Calbourne Mill is visited by some families but is somewhat more serene and quiet than most attractions. There's a water mill (so you can buy your muesli), pottery related activities, a small war museum, 'rural museums', punts, croquet, petanque, lego tables and a giant chalkboard. Fans of sitting down and holding on to their hats will enjoy the three open top buses which tour the Isle of Wight in the summer months. You can get a hop on-hop off ticket which covers all four, and it works out better value if you travel in a group of 5. Hold on to your wigs, gents! The Downs Breezer which does a circular route around Ryde and Brading Downs (nice views of the Downs, good for getting between attractions, mostly inland). The Shanklin Steamer which does a small route around, er, Shanklin unsurprisingly. ​The ones we went on came with a recorded commentary. The Island Coaster is no longer an open top bus but it does a mammoth one way trek from Ryde to Yarmouth via the Needles in just under 3 hours (great coastal views if your bottom can stand it, or perhaps stop in Ventnor for a bit and hop back on). Needles Pleasure Cruises runs two boats from the beach at Alum Bay. One is a sedate trip out to near the lighthouse complete with the usual commentary (costs about £5, lasts about 20 minutes). The other is a high speed ride on a RIB (rigid inflatable boat) which costs about £10 for about 15 minutes. Black Rock Cruises runs slightly longer Needles Cruises which leave from Yarmouth and explore a larger section of the coastline (about 90 minutes for £15 when I checked in 2018). They also run 2 hour mackerel fishing trips from Yarmouth which costs £20. I've spent many years fruitlessly searching for dinosaur bones on the Isle of Wight's beaches, held back only by my complete ignorance of what fossils actually look like. ​To be honest, unless it roared when I picked it up I don't think I'd actually realise I was holding anything valuable. 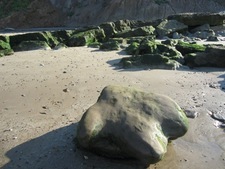 A dinosaur footprint or a foot-shaped rock? If you know what you are looking for, it is seemingly quite common to find semi-rare fossils. The Isle of Wight was declared the dinosaur capital of the UK a few years ago and there was even the case of a valuable bone being found by a 5 year old. ​There are various fossil tours run by experts, including Dinosaur Expeditions and Dinosaur Isle. I was going to make a cheap gag about the tour guides all having beards, but nowadays beards are mostly worn by trendy hipsters from Shoreditch so I suspect the stereotype may need updating. If you fancy some DIY fossil hunting, check out our guide which includes a section on 'which is the best Isle of Wight beach for fossil hunting'. If the Isle of Wight weather lets you down, then you might consider an afternoon tea in one of the nicer hotels. You can get tea for two at the Bembridge Coast Hotel or you might prefer The Champagne Tea at the Royal Hotel in Ventnor, which is £60 for 2. Needless to say, the Isle of Wight isn't short on places for cream teas and the like. Godshill is responsible for consuming 30% of the world's strawberry jam, according to some statistics I just made up. There are loads of cream tea options to choose from, but a couple we've tried with nice coastal views are Isle of Wight Pearl and The Needles Old Battery. At one stage, the Isle of Wight must have looked pretty unwelcoming with guns pointed at passing boats from various spots including The Needles Battery, Puckpool Battery and the site which is now Isle of Wight Zoo. Fort Victoria in Yarmouth is another remnant of such things, although it now houses rather more sedate attractions including a planetarium, a model railway and an 'underwater archaeology' centre. Chessell Pottery in Calbourne (West Wight) is popular with families wearing Joules clothes but if you visit outside of school holidays you might be able to enjoy a peaceful afternoon decorating a teapot. You pay about £7 for paints and brushes and then pick from a big range of pottery to decorate. They'll then glaze it for you and you can pick it up later. Alternatively, you can use an acrylic paint which dries quicker (yes, I really am discussing paint drying). You can read about our visit to Chessell Pottery in the blog. I rarely venture beyond soap and water, but my wife got terribly excited when she realised that Liz Earle was based on the Isle of Wight. They are one of those natural skincare companies which appear on never-ending shopping channels, presented by people with never-ending smiles. Liz Earle has got an Isle of Wight store in Ryde, and does things like pampering and Friday afternoon cake sessions. There are lots of exhausting cycle routes for people who are much fitter than me. If you're a keen pedaller then Wightlink's guide to cycling looks like a good place to start. However, if you're just looking for a gentle jaunt along a cycle path with a three hour stop for lunch and a snooze then I would take a look at the Red Squirrel Trail website. The main cycle path is on former railway lines, with a route which goes from Cowes to Newport and then onto Sandown and Shanklin. The Red Squirrel Trail site also has advice on other quiet routes along other parts of the Isle of Wight (Yarmouth to Freshwater and Brading to St Helen's for example). See our public transport guide for advice on bike hire places. See our ferry guide for advice on bringing your bicycle with you.